Explore downtown Victoria plazas and walkways with us. We will explore a number of downtown plazas and walkways, observing how space is used, how spaces are connected, and the potential for innovative and positive changes in our shared spaces downtown. The walk will amble through a variety of contrasting places downtown and conclude at a coffee shop where the conversation can continue for those who are interested. We will be joined by local graphic recorder Tanya Gadsby who will capture ideas and places along the way. This walk will be part of the international Jane’s Walk movement. 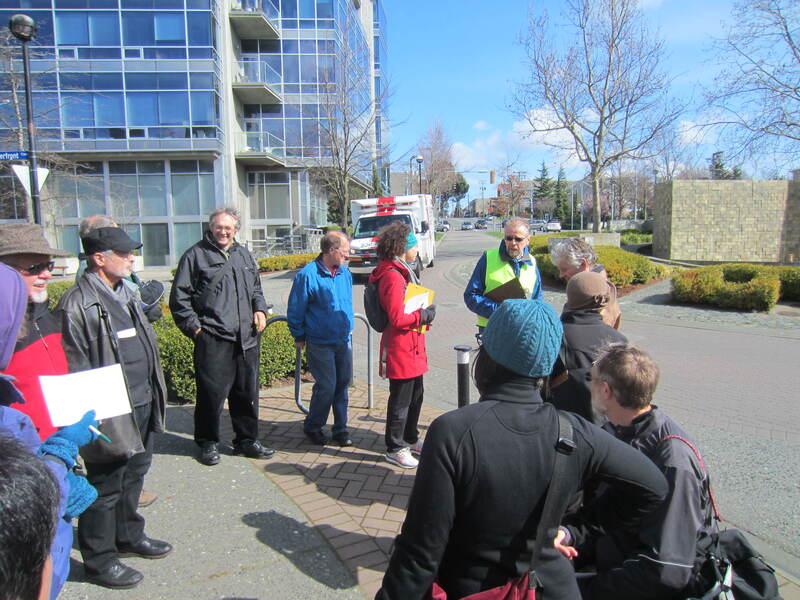 Jane’s Walks are free walking tours led by interested citizens around the world on the first weekend in May to commemorate the ideas and legacy of the Canadian urbanist Jane Jacobs. It is all about getting people out exploring their neighbourhoods and meeting their neighbours. “Since its inception in Toronto in 2007, Jane’s Walk has expanded rapidly. In May of 2011, 511 walks were held in 75 cities in 15 countries worldwide.” Check out http://www.janeswalk.net/index.php/about/ for more information on the Jane’s Walks.